Built in West Virginia, Vault 76 houses some of America's best and brightest minds but one courageous survivor is determined to leave the shelter in order to recolonise the surface and build a brighter future for Earth's remaining population. 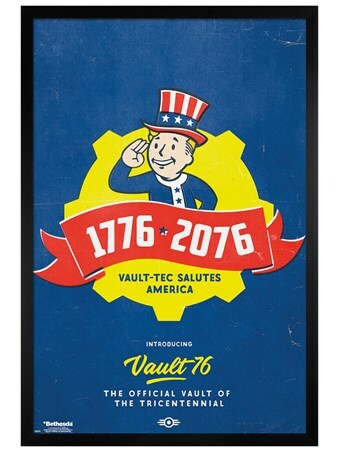 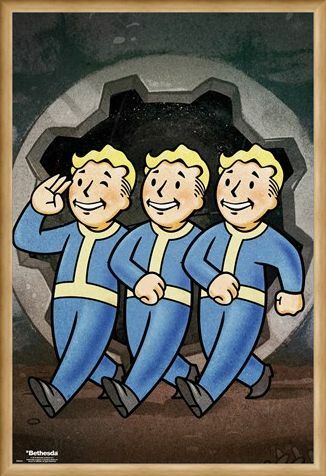 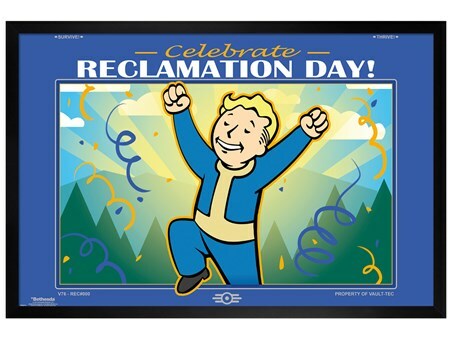 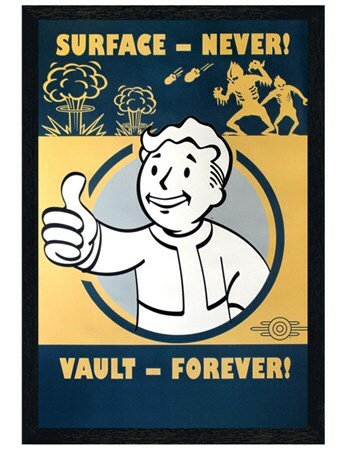 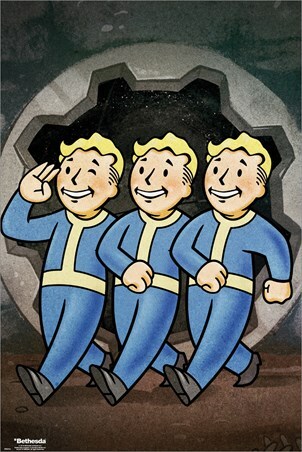 From the epic gameplay of the Fallout series, this wicked poster features a marching trio of Vault-Tec's ever positive mascot, Vault Boy, smiling cheerfully and saluting! 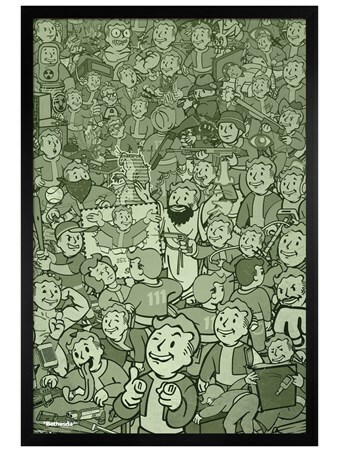 Created to train and instruct, this blond haired figure is a key part of this post apocalyptic saga and is ideal for any gaming addict's den. High quality, framed Vault Boys, Fallout 76 poster with a bespoke frame by our custom framing service.